Enjoy a sweet and savory salad perfect for every gathering. 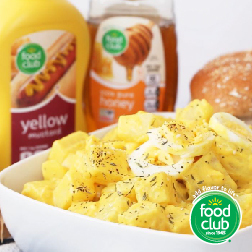 Try out this flavorful Food Club favorite. Dice potatoes and eggs. Chill and set aside. Mix all above ingredients in large bowl. Add chilled potatoes and eggs. Mix together and enjoy! Cool, crisp and healthy salads are the perfect snack, starter or complete meal. When you get a salad right it is a colorful meal full of flavor, texture and nutrients. 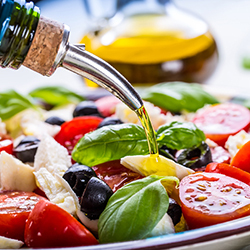 Follow these five steps to make every salad taste amazing! Step 1: Choose a base- Decide what kind of salad you are going to make and then figure out the perfect leafy green. Remember the darker the green the greater it is in nutritional value. Some great options: Romaine, arugula, butterhead lettuce, red leaf, green leaf, spinach, cress, cabbage, collard green, etc. Step 2: Add produce- This is where you add color, texture and flavor to your salad. The more color you add to your salad the more variety of nutrients you get. Put at least two types of produce into your salad for a total of 2 cups produce. Some great produce options: bell peppers, brocolli, carrots, cucumber, green beans, radishes, corn, tomato, cauliflower, beets, onions, mushrooms, etc. Step 3: Make it filling with protein- A salad turns into a meal when you add protein. Choose lean sources of protein to keep your salad good and healthy. Some great protein options: black beans, chicken, ham, turkey, eggs, salmon, lentils, kidney beans, tuna, garbanzo beans, edamame, tofu, peas, pork,etc. 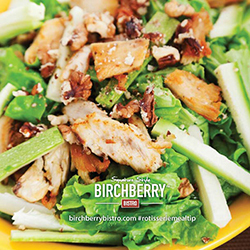 Step 4: Boost with flavor- Make your salad spectacular with salad toppings that add crunch and flavor. You don’t need much to boost your salad. Some great flavor boosters: bacon bits, chia seeds, cranberries, olives, raisins, salsa, almonds, blue cheese, feta cheese,etc. Step 5: Dress it up- No salad is complete with dressing. Pick a salad dressing that will compliment the flavors. 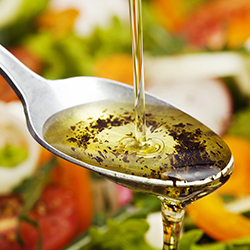 You don’t want to drown out your salad–you don’t need more than 2 tablespoons of dressing. Try out low calorie options or try a recipe to make your own. Enjoy this light and healthy dinner that is fit for any age. 1 package (16 oz.) Full Circle Organic Frozen Raw, Peeled, Deveined 31-40 count Shrimp. Preheat broiler. Thaw shrimp in colander under cold running water; remove tails and pat dry on paper towels. Place shrimp in a medium bowl and toss with oil. Combine paprika, salt and pepper, sprinkle over shrimp and toss again to coat. Place shrimp on broiler pan and broil, 4 inches from heat source, 2 to 3 minutes, turn and continuing cooking 1 to 2 minutes or until shrimp are opaque. Place spring mix, cucumber and carrot in a large bowl and toss. Combine mayonnaise, lemon juice and lemon rind; spread 1 tablespoon inside each pita half. 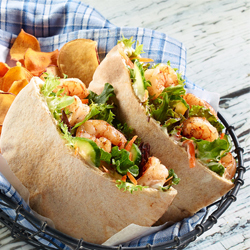 Fill each pita half with 1/2 cup salad and 4 to 5 shrimp. A tasty trio mixed together in this simply delicious spring salad. Cut the watermelon and cucumbers. Combine into bowl with mint. Make dressing. 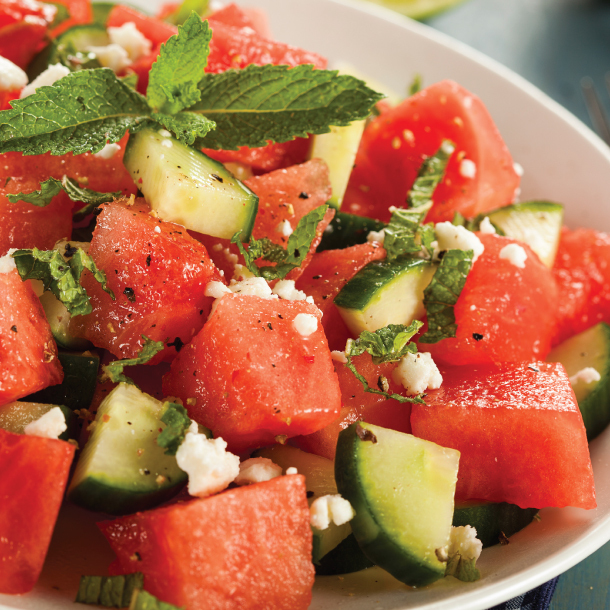 Pour dressing over watermelon, cucumber, mint mixture and lightly stir. Add in feta and gently stir to combine. 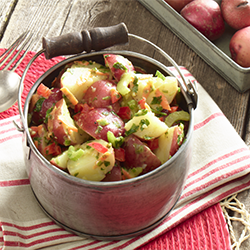 Nothing says warm weather like a delicious and zesty potato salad. Cut potatoes into quarters; place in a large pan and cover with cold water, add salt. Bring potatoes to boil over medium heat, boil gently 5 minutes. Shut heat, cover and let stand 5 minutes. Reserve ¼ cup potato cooking liquid. Drain potatoes, do not rinse, transfer to a large bowl. Add celery, carrots and red pepper. Combine green onion, parsley, olive oil, lemon juice, mustard, garlic and peppercorns in small food processor bowl; while processing, drizzle in reserved potato cooking water and process, pulsing until blended. Toss dressing into potatoes and vegetables. Cover and refrigerate at least 1 hour before serving. 8 servings. Get more Full Circle recipes like this here. 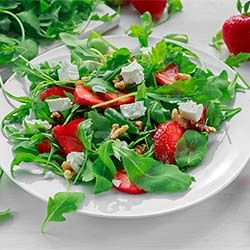 With strawberries in season, treat yourself to this delicious and light spring salad. Mix extra virgin olive oil with the juice of 1/2 a lemon. Combine arugula, mozzarella, almonds, strawberries, and dress with the lemon olive oil vinaigrette for a delicious and healthy salad. 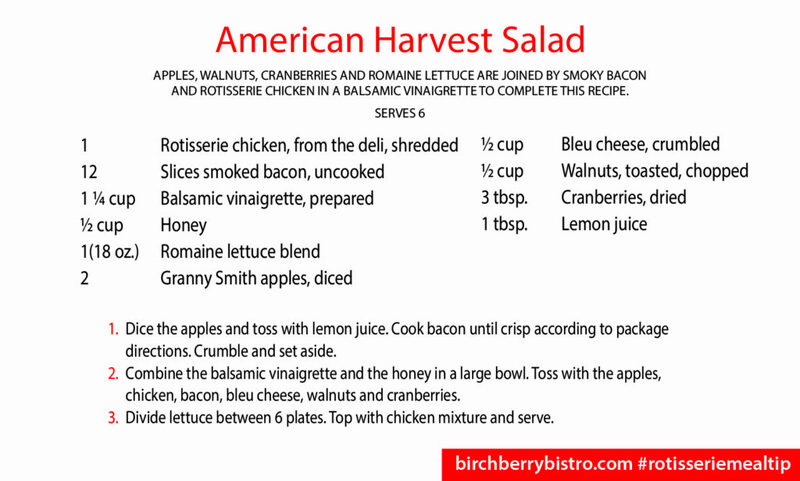 Quick and refreshing salad filled with freshness, sweetness and crunch. 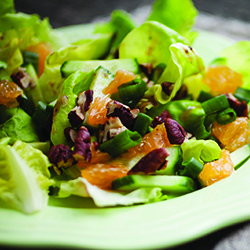 Toss together the lettuce greens, mandarin oranges and sliced almonds. 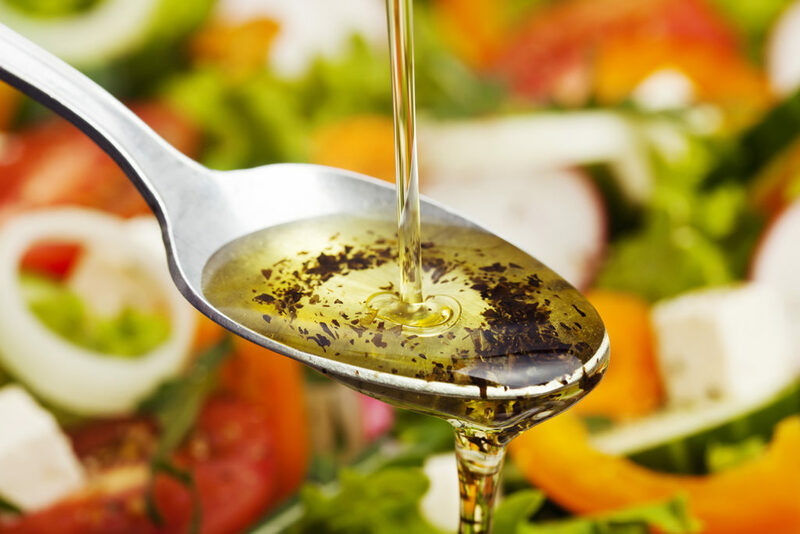 Make the salad dressing by mixing juice, mustard, vinegar and olive oil. Whisk well. Pour dressing over salad and enjoy.